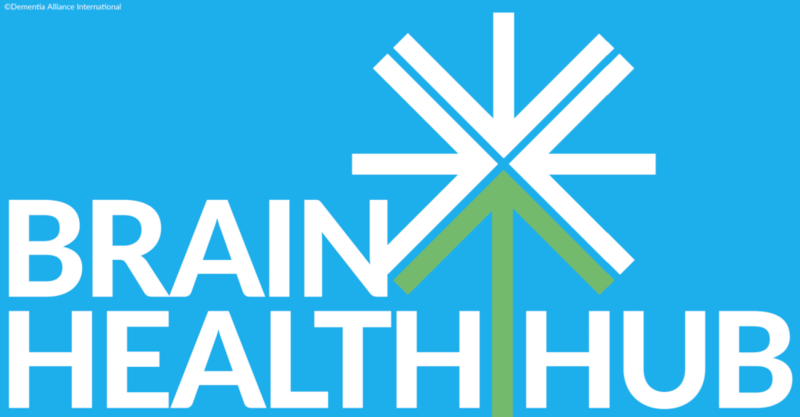 This page is where we add information about Brain Health, Risk Reduction for dementia, and research articles that specifically cover these topics. If you find a research article you think others would benefit from, please send it to us. However, please be reminded, we are a not for profit organisation, which primarily is an advocacy and support group, of, by and for people with dementia. We are not an advertising or marketing outlet, and therefore, please do not send us product or conference information and expect we will add it to our site. Dementia is so much more than memory loss, and whilst there is not yet a cure, and no disease modifying drugs available, there is much we can and should all do to improve our brain health, with or without a dementia. “Alzheimer’s disease is the most prevalent neurodegenerative disease and the leading cause of dementia. For decades, researchers have been struggling to find therapies that prevent or, at least, delay the progression of the disease, but now we have some promising evidence. a regimen of supplements to address each patient’s deficiencies. Critics say: until more research is done, the verdict is still out. 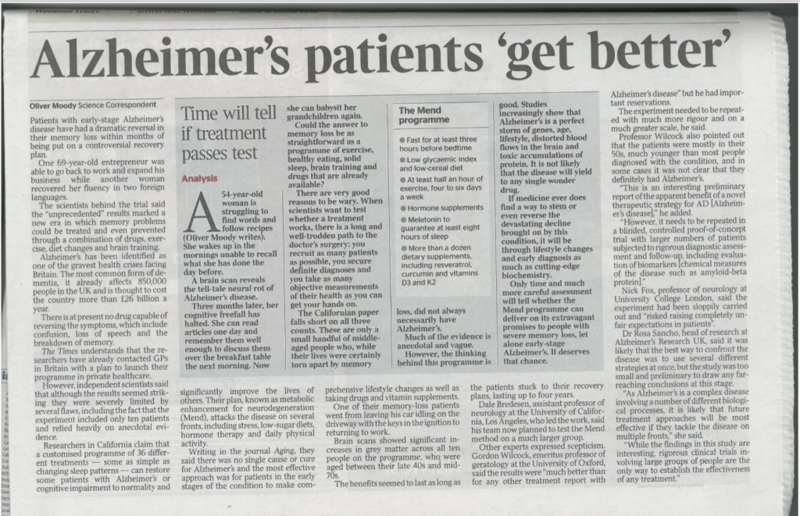 The Alzheimer’s Association (USA) says it’s encouraged by his initial results, but further study is needed. He’s now partnered with the Cleveland Clinic for a larger clinical trial of his program. For more information on Bredesen’s program, and on training for practitioners, visit mpi-cognition.comor call: 1-800-450-0805. An article about his work appeared in the Times recently as well, which you can see below or download here Alzheimer’s patients get better. There is much emerging evidence to support there are many t things you can do to slow the progression of dementia as well, and this study is one that you should explore. In one small study, Reversal of cognitive decline: A novel therapeutic program, where 9/10 early Alzheimer’s and Mild Cognitive Impairment were reversed (not cured) by a Dale Bredesen, a Professor of Neurology using a non drug approach, Bredesen recently reported he is getting similar results in over 30 new patients. We now have to steer the muddy waters of science and ask exactly what should we do with this information? The first part is heavy science but you read the stories and the protocols you will very likely understand. A few DAI members are also following this protocol, with positive effects. This update is on Professor Bredesens’ reversal of Alzheimer’s protocols where he has had over 90% success in improving symptoms and even reversing the disease process with documented cases of hippo-campus regions of the brains growing from the 17th -75th percentile. His academic paper will be released on this later study very soon. Overall, try and lead an active lifestyle that combines physical, social and mental activity. Not only will it help to reduce your risk of dementia, you’ll hopefully enjoy life more as a result!